Plano Water Damage is a trusted name amongst the locals of Plano city. Since our inception, we have provided excellent water damage cleanup services that have won the hearts of our clients. We have, till this day, never received a single complaint after the services are provided, but even still, we have always offered after-service support to our customers. In a very short time we have rapidly climbed the rankings of top quality water damage restoration companies in both the Collin and Denton Counties. Plano Water Damage is proud to announce that we are now providing both, fire and water damage restoration services, to the residents of Plano City. We have proven ourselves in water damage cleanup services, therefore now we are expanding our services to cover fire cleanup and smoke removal as well. What Does Fire Damage Clean Up Entail? The fire trucks may have extinguished the fire but this is just the beginning of the restoration process. Not only will there be damage which is visible to the naked eye, their might be some damage that only an expert can figure out. After the fire has been extinguished, the after-fire effects will become visible immediately. The ceiling and walls will become blackened, the furniture and other plastic material will discolor and the metals will rapidly corrode and become weak. What most people overlook is the damage that’s not visible to the naked eye. Fire weakens the structure of your home or commercial property. If this structural damage is not diagnosed immediately, then over time there will be heavy costs involved. We at Plano Water Damage have been in the restoration industry for a long time. No matter how badly your property is damaged by the fire, we can make it whole again, as if the fire never happened. 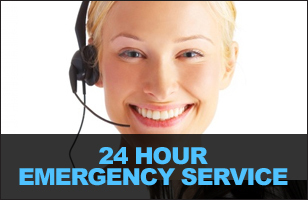 Our response time is less than an hour and we can be approached round the clock every single day. Our experts make sure that everything is examined properly. Once we know the places where the fire has caused damage, we take immediate action. For security purposes, we seal the windows and if the roof is damaged, we place a tarp on it as well. We have several smoke damage and smell removal techniques. We use state of the art equipment to perform smoke remediation on your site. We understand that building a home all over again is not an easy task; therefore, we salvage just about anything we can. Whether it is your home or your office, we promise that you’ll have your property back just the way it was before there was any fire. We have the relevant IICRC industrial grade certification and our technicians can handle fire and smoke restoration, applied microbial remediation & structural drying, odor control and upholstery & fabric cleaning. So what are you waiting for? Call us today at (214) 427-7236 if your property has recently gone through fire damage.